"Provide peace of mind that you and your loved ones are protected when it matters the most with gates designed for automation"
A sensible option for Devon homeowners who expect to use their gates regularly and also those who have a little buffer between gate entrance and the road is to automate your gates. Undoubtedly more convenient and with the added bonus of improved security, automating your gate is a top priority for many. However due to the procedures involved, automation also means a more complex installation, increased costs and also a higher likelihood of failure when compared to non-automated gates. Essentially there are two key choices to make, you can either opt for a sliding or swinging option and you must also decide whether you would like a below or above ground installation. Sliding variations are designed for a pair of gates where you wish for them to slide open easily. 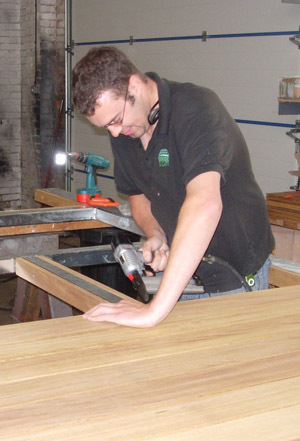 In such instances you will need to consider the extra costs involved due to the mechanisms needed but they do look fantastic. On the other hand, swinging gates remain the most popular choice amongst homeowners throughout the Devon region but one thing to remember is that such styles are not an option on sloping driveways due to the need of being able to shut them securely. The most common choice is a swing arm operator which operates an electrically powered unit situated in a conveniently located box the side of the gate itself. The arm itself will be visible either off the top or bottom of the structure so please do bear this in mind. "Below ground or hidden systems will significantly help to improve aesthetics." Below ground or hidden systems significantly improve the overall aesthetics and the surrounding areas but are more complicated to fit. This should not deter you from choosing such options as when compared to above ground installation, the overall look and appeal of such systems is less intrusive. One thing to consider however is that if not installed correctly, such systems are open to issues with water ingress. years as it will help to eliminate the risk of anything going wrong. 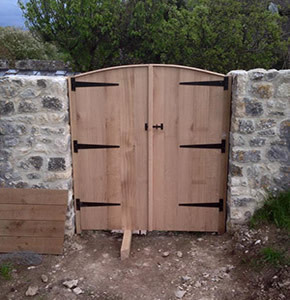 "Automated gates add a sense of class and elegance to your home"
To speak with an experienced joiner with experience in creating wooden gates suitable for automation across the wider Devon area, please do not hesitate to get in touch. "Automated gates can be fitted with battery backup, so you aren't stuck during a power cut."